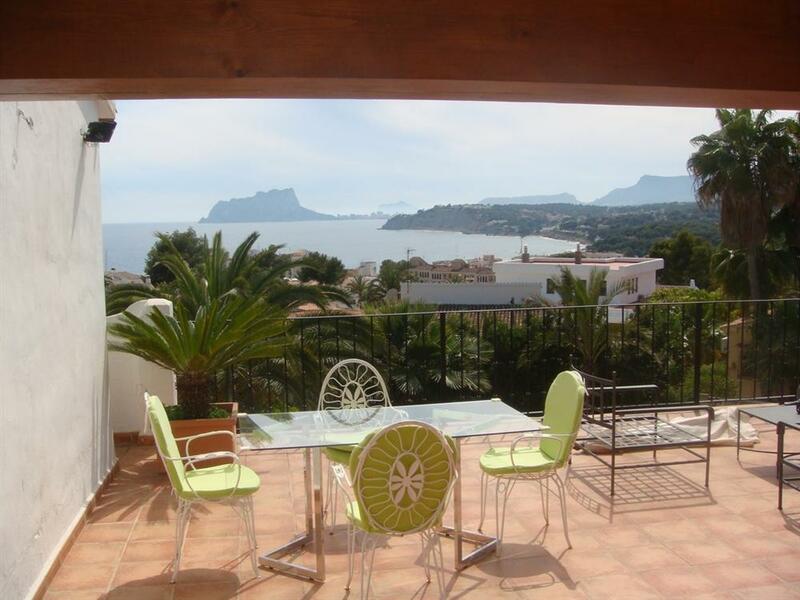 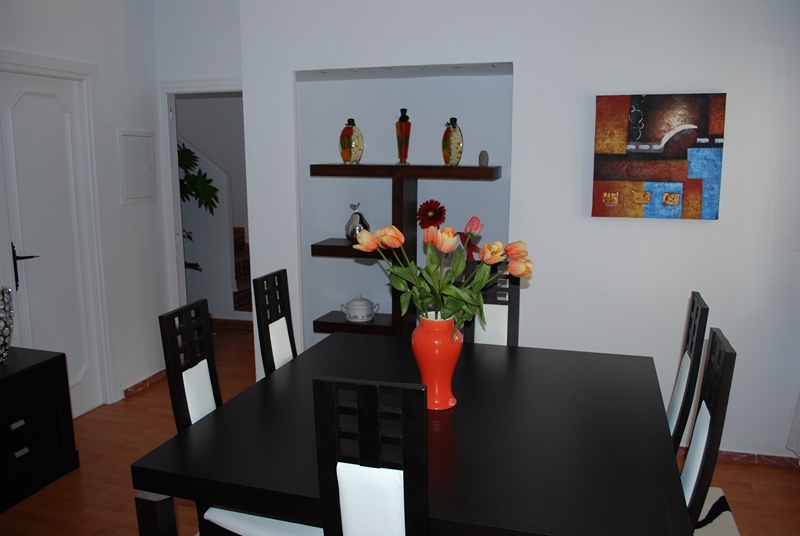 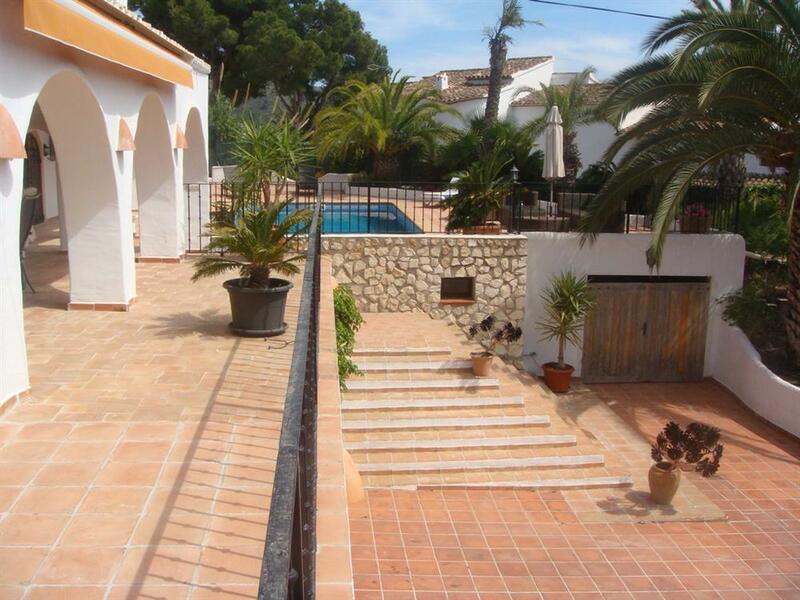 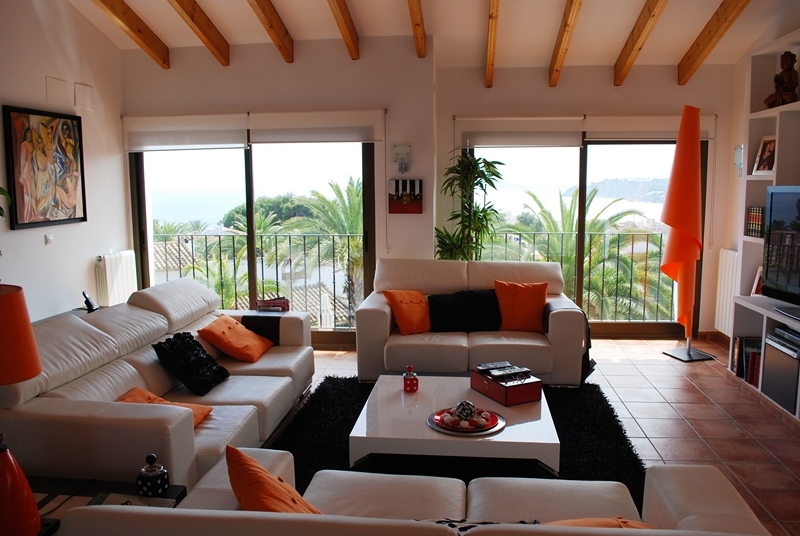 Luxury Villa for sale in Pla del Mar, Moraira. 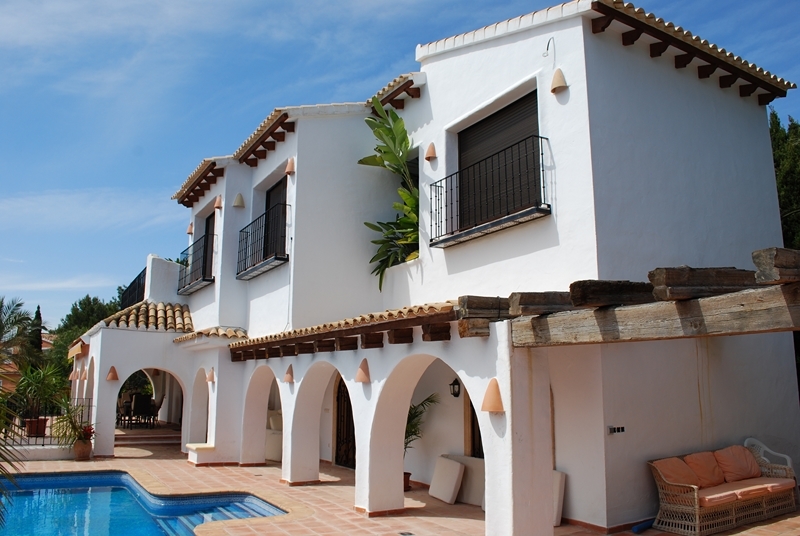 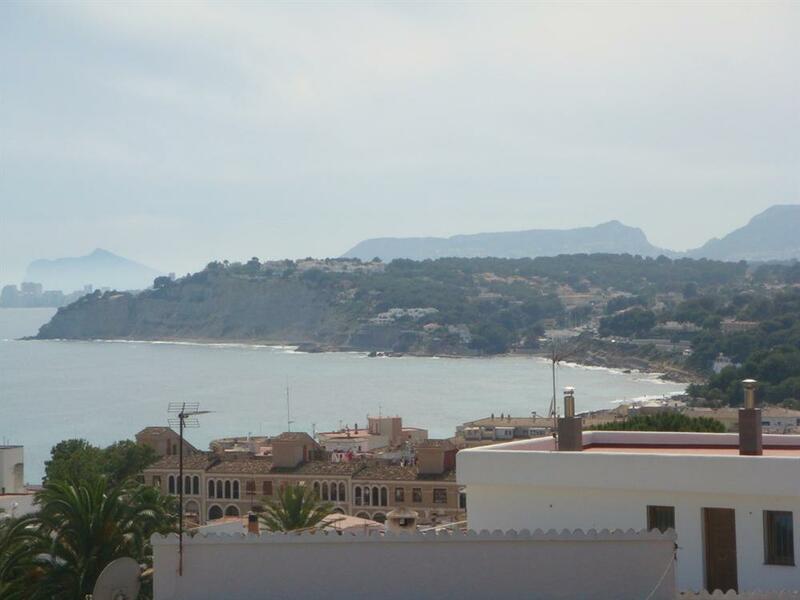 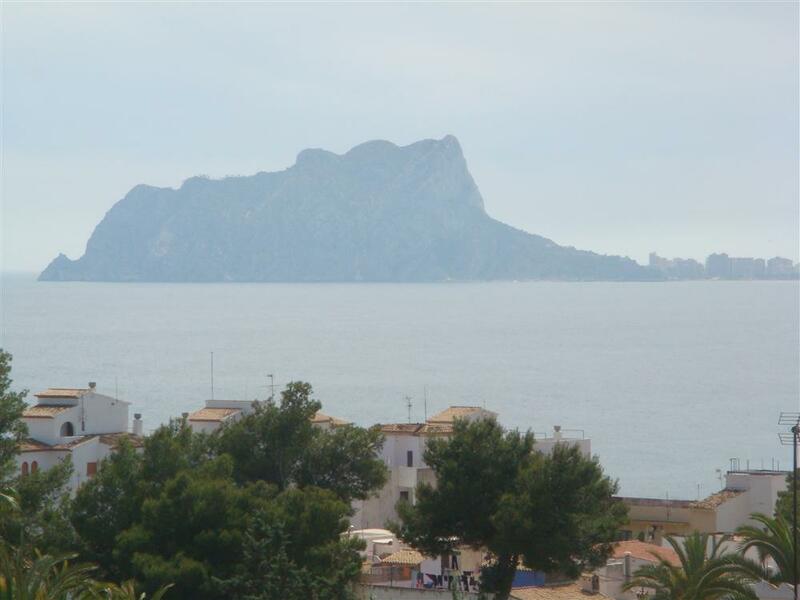 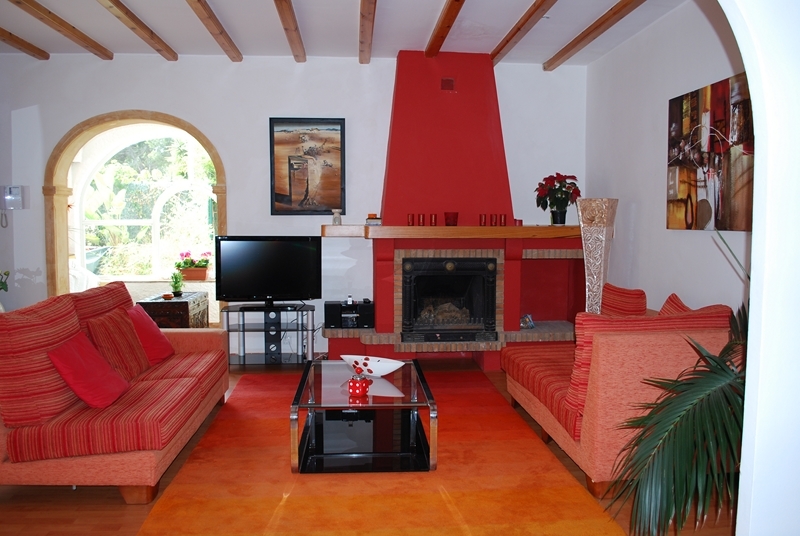 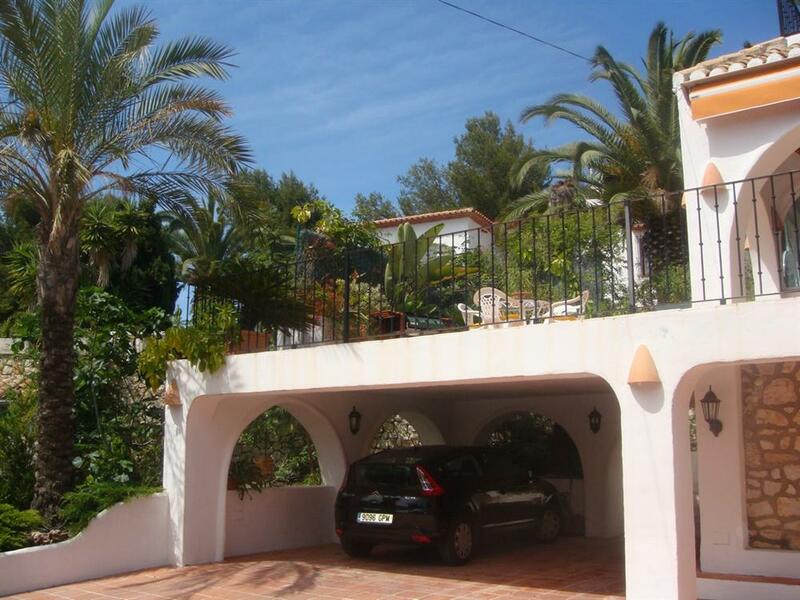 Finca style villa located in the exclusive area of Pla del Mar, just 400m from Moraira town and beach. 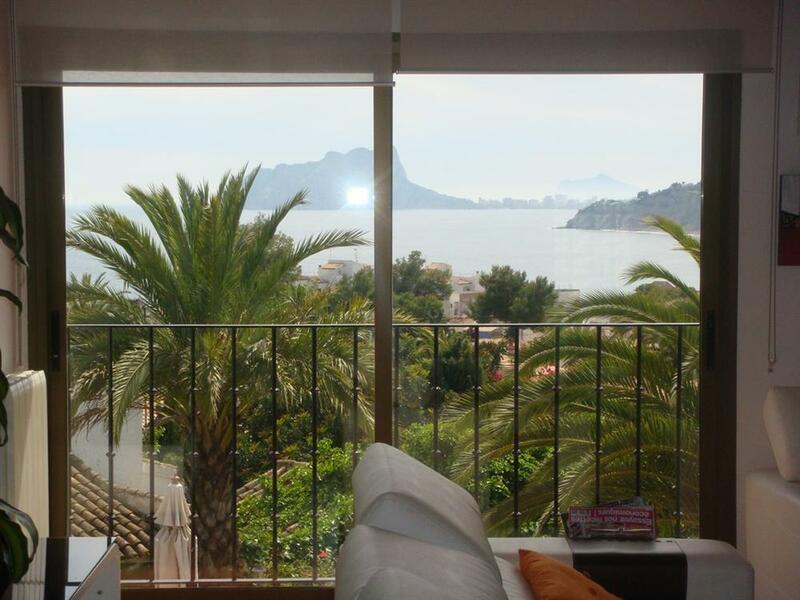 Three bedrooms, with an option to create a fourth, three bathrooms, two living rooms, a glazed naya seating area, large kitchen, large covered terrace at pool level and large terrace off the upper living room with fantastic views across Moraira, the Benissa coast, Calpe and all the way to Albir. 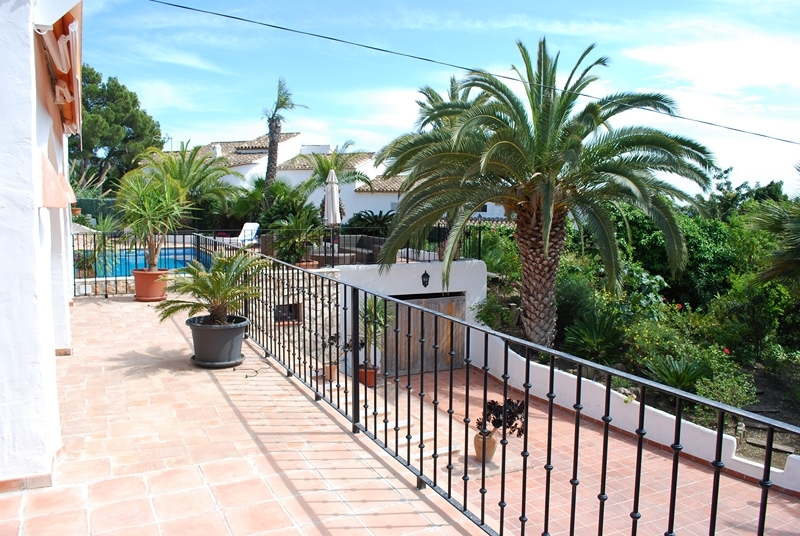 Access to the property through large solid wooden gates into a large courtyard with covered parking for two cars, a garage, a large under-build store room and garden borders with tropical plants. 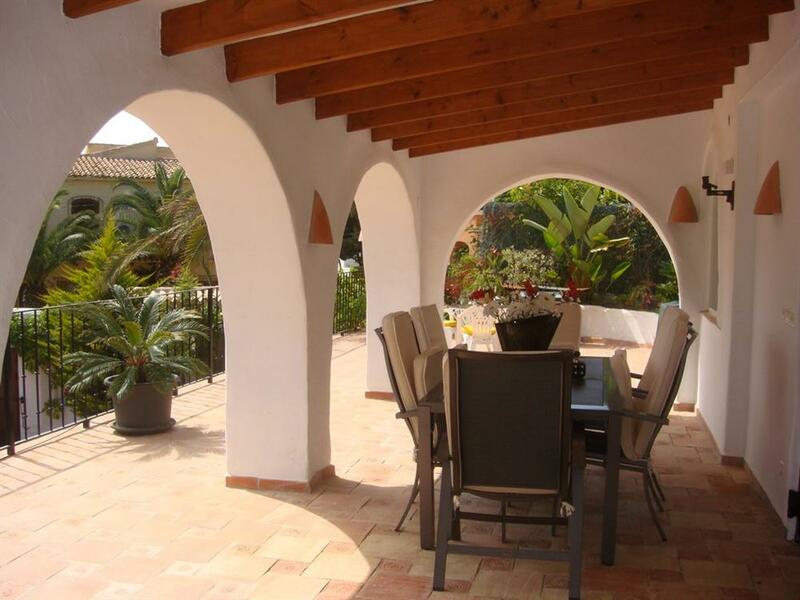 Up some steps to the large pool terrace with pergola for outside dining. 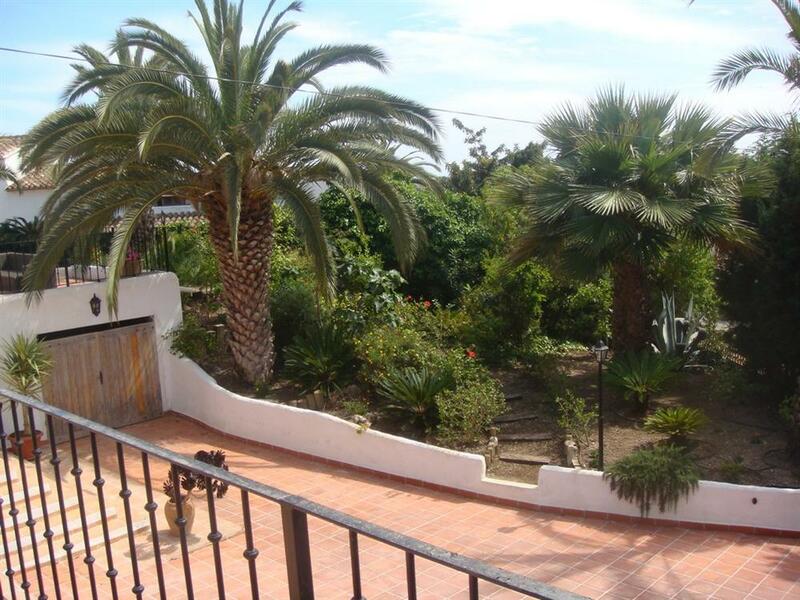 This villa and mediterranean garden has a very nice atmosphere and is very peaceful considering it is so close to all of the amenities.